to get your free, collectible Kasey Kahne hero card, as well as exclusive merchandise and content throughout the season thanks to our partner, Procore. · COME SEE KAHNE: Kahne will be out at the Chevrolet Display on Sunday morning at 11:15am ET for a Q&A session with fans and then he will also be appearing at 11:45am as the track’s The Bog hospitality area for a Q&A session at 11:45am ET. · KAHNE BY THE NUMBERS: In 14 Monster Energy NASCAR Cup Series career starts at Watkins Glen, Kasey Kahne has an average start of 19.2 and an average finish of 20.7. He’s completed 1,244 of 1,264 (98.4 percent) career laps, and has led for three laps. 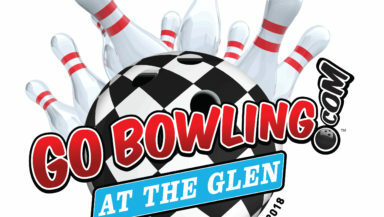 · RACE INFO: The Go Bowling at The Glen at Watkins Glen International (2.45-mile road course) begins at 2:30 p.m. ET on Sunday, August 5th. The race will be broadcast live on NBC, Sirius XM Channel 90 and MRN Radio. Procore Technologies, Inc., is a leading provider of cloud-based applications for construction. Procore connects people, applications, and devices through a unified platform to help construction professionals manage risk and build quality projects, safely, on time, and within budget. The company has a diversified business model with products for Construction Project Management, Construction Financials, Quality & Safety, and Field Productivity. Headquartered in Carpinteria, California, with offices around the globe, Procore has more than 2.5 million users managing billions of dollars in annual construction volume. For more information about Procore, visit procore.com. Love to have anything of Kasey’s. Thank y’all for sticking with our driver!